Home » Bengal Cat Behavior » Bengal Cat Behavior – Do Bengal Cats Like Water? 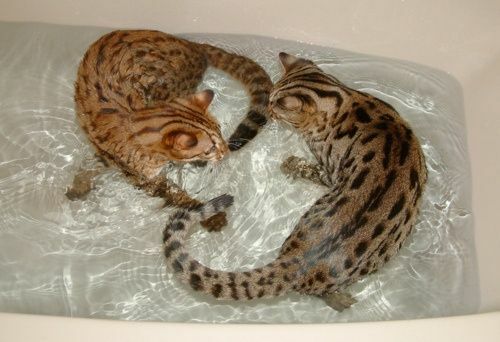 While not all Bengal cats like water, some really do! See the videos below of some Bengals enjoying the water. ← The Bengal Cat Versus The Ocicat – Just What Are The Differences?